How Is Mozambique Doing, 43 Years After Its Political Independence? Is Govt Downplaying Wave of Attacks? 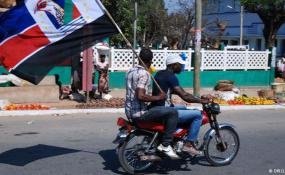 Decentralisation and Disarming Renamo "inseparable"
Maputo — Venancio Mondlane, formerly the rapporteur of the parliamentary group of the opposition Mozambique Democratic Movement (MDM), has defected from the MDM and joined the rebel movement Renamo. Mondlane, who owes his entire political career to the MDM, shot to prominence in the 2013 municipal elections, when he was MDM candidate for mayor of Maputo and took 40 per cent of the vote. This came as a severe shock to the ruling Frelimo Party, which had regarded Maputo as a stronghold. The Frelimo candidate, current mayor David Simango, won, but his vote was slashed from 85 to 58 per cent. It had seemed that Mondlane would stand for the MDM again: MDM members in Maputo twice elected him as their candidate for mayor in the elections scheduled for 10 October - once at a meeting in October 2017, and again last month. In October, Mondlane gave every impression of being an enthusiastic MDM candidate, hoping to improve on his 2013 result. But in June, Mondlane was not present at the meeting which endorsed him, and issued a statement saying the MDM announcement "is false and it doesn't come from me. It does not have my consent. It is null and void". "I am not the head of the MDM list. I will not be and I do not want to be head of the MDM list. I am not the MDM's candidate for mayor of Maputo", he declared. Between October and June, Mondlane had fallen out with the MDM leader Daviz Simango, and at a meeting of the MDM National Council in April, he was not re-elected to the Party's Political Commission. By then he was in discussions with Renamo, although he denied travelling to the central district of Gorongosa to meet with the then leader of Renamo, Afonso Dhlakama. Last week, Mondlane sent a letter to the MDM's political delegation in Maputo, formally resigning his membership of the party. In a separate letter, sent to the chairperson of the Mozambican parliament, the Assembly of the Republic, Veronica Macamo, Mondlane also resigned his parliamentary seat. This was followed by the highly public resignation of a dozen or so senior MDM figures in Maputo, led by the head of the MDM group in the Maputo Municipal Assembly, Ismael Nhacucue, and including political delegates from Maputo municipal districts, and members of the MDM provincial council. All were welcomed into Renamo at a ceremony in central Maputo on Friday. This had clearly been planned well in advance since the defectors were all wearing T-shirts bearing the Renamo emblem and the portrait of Venancio Mondlane. Nhacucue claimed they had defected because of an alleged lack of democracy inside the MDM, a supposed monopoly of leadership by Daviz Simango and his family, the marginalization of members like Mondlane who disagreed with the leadership, and the absence of serious projects for governing the country. He said the party was also demoralized by the silence of the leadership after the assassination in October last year of the MDM Mayor of Nampula, Mahamudo Amurane, a crime that has not yet been solved. Amurane had also strongly disagreed with Simango, particularly over anti-corruption issues. "We have no alternative but to join Renamo which is now the only opposition party with the real ability to win the municipal elections in October, the general elections in 2019, and to rule Mozambique", said Nhacucue. He added that the defectors want Mondlane to be the Renamo mayoral candidate in the elections. "We reaffirm our unconditional support for him, and so we ask him to join the family of Renamo to transform Maputo into the Switzerland of southern Africa", he said. The Renamo representative at the meeting, Gania Mussagy, confirmed that Mondlane has in fact already joined Renamo, but she could neither confirm nor deny that he would be the head of the Renamo list (and hence the mayoral candidate) for Maputo. That would have to be discussed by the relevant Renamo bodies. Despite reports that hundreds of MDM members have followed Mondlane into Renamo, the MDM has declared that it will win the October elections without people whom it describes as "deserters" and "saboteurs". On Saturday the MDM appointed replacements for Nhacucue and for the four urban district delegates who had gone into Renamo. According to the independent television station STV, the head of the MDM local governance department, Elias Gilberto, said that swearing the new party officials into office marked "a restructuring of the party against attempts at sabotage". "We shall continue to work so that the party is seen as a strong alternative for government", declared Augusto Mbazo, the new head of the MDM group in the Municipal Assembly. The belief that the defectors can build on Mondlane's good 2013 result may prove misplaced. His strong showing then was certainly due to the fact that he was standing neither for Frelimo nor for Renamo, and the MDM, founded in 2009, was still seen as a new and hopeful force in Mozambican politics.